The time of year has arrived when leaves are falling – and so are the temperatures outside. While cool weather can bring a welcome contrast after a scorching summer, it can also have harsh effects on your facility’s HVAC system. Even with the most dependable HVAC equipment and controls within your building, you can still have problems from fluctuating temperatures if you don’t prepare your HVAC system for peak performance. 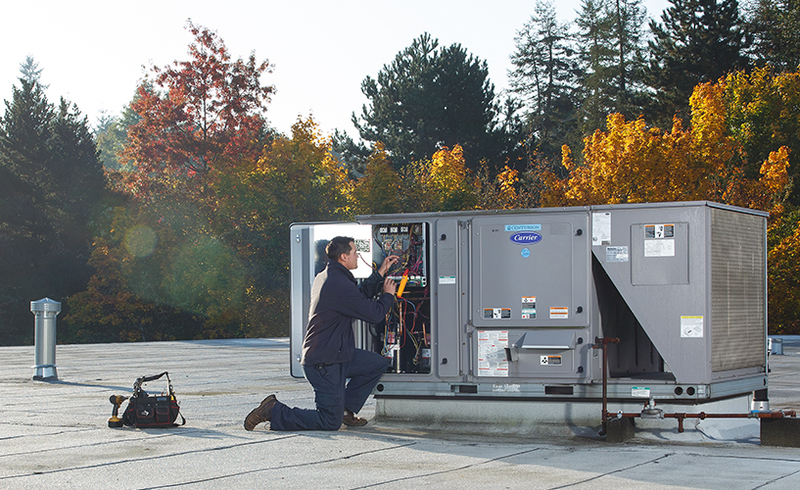 To ensure optimal HVAC system operation, now is the time to take action before the wet, cold weather really sets in. The right seasonal preparedness will lower your utility costs, decrease energy consumption, and keep your tenants content and productive throughout the fall and winter months. Below, we’ve listed four preparation tips to ensure peak performance. The energy-management system and controls within your facility play an important role in reducing energy consumption and creating a comfortable environment for your tenants. 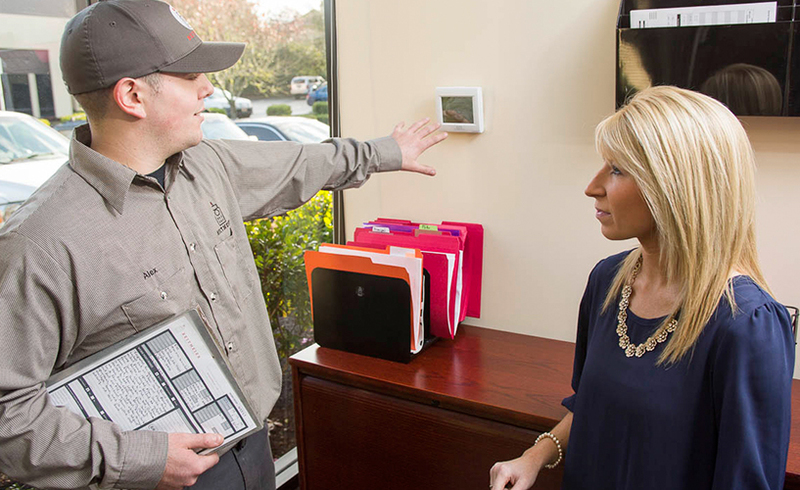 Over time, your temperature sensors and thermostats can become out of tune, increasing your heating and cooling loads. Check that all of your controls are responding correctly and that the proper temperature is being displayed. Calibrating your system may require specialized skills or equipment. 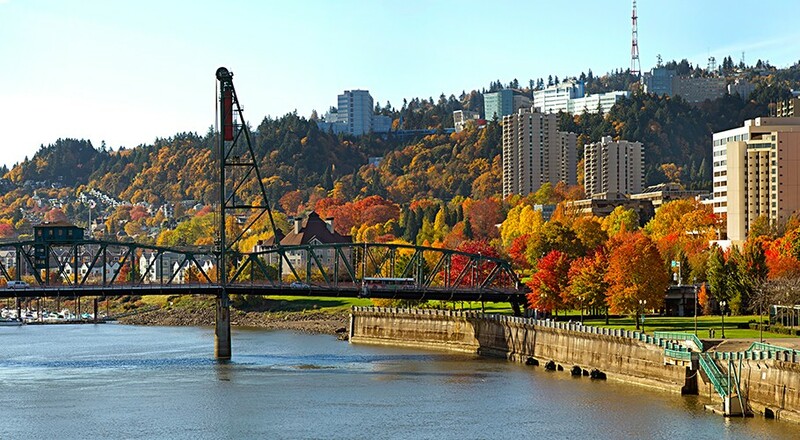 Outdoor HVAC units are susceptible to strong winds from winter storms in the Northwest. Check all roof panels to ensure they are safe and secure, and tighten any loose metal, bolts, and fasteners. Inspect rooftop penetrations from inside and out to ensure flashing is in good shape and that seals are intact around the HVAC unit. These steps will protect your unit and building from winter wind and water damage. Repair minor issues in your HVAC system at the earliest sign of trouble, before they lead to larger system failure. During your fall inspection, examine and correct problems that can pose obstacles to your equipment’s optimal performance. Signs of problems with your HVAC equipment include strange noises, odors, poor air quality, inconsistent temperatures, and/or rises in heating costs. These issues should be addressed before the heating season begins. If you’ve noticed any of these warning signs, it’s time to call the Reitmeier Service Center. Go through the building and adjust temperatures to make sure they are all balanced and set. Fine-tune control schedules to reflect daylight savings time, as well as changes in occupancy. When sections of your building are unoccupied, reduce heating in these areas to save energy, but keep in mind that some heating is required during cold months to keep water pipes from freezing. Change batteries if your programmable thermostats require them. The best thing you can do for your building’s HVAC system is to invest in a preventative maintenance program. As part of your fall inspection, your service technician will check filters, and inspect belts, motors, electrical switches, contacts, safety switches, refrigerant levels, and gas pressure. Problems with these components can reduce heating efficiency by more than 20 percent, so it’s crucial to have them in tip-top shape. Being proactive – and paying attention to these details before the cold sets in – is truly the best approach to a more comfortable and energy-efficient winter. Interested in learning more about how Reitmeier can help ensure your facility is prepped for cooler weather? Request a quote or click here to read more about what we do.